When Columbus first spotted the Virgin Islands in 1493, little did he know it would become one of the wealthiest places on earth – thanks to a robust offshore environment. When he spotted the small islands on his second trip to the Americas in 1493, he named them: Santa Ursula y las Once Mil Vírgenes later shortened to Las Vírgenes (The Virgins) and finally named the British Virgin Islands. There is evidence that there have been some human inhabitants of the British Virgin Islands dating back to 1500 BC. 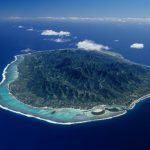 When Columbus passed through, the Island was inhabited by the Arawak. After being conquered by the Carib, the Dutch, and finally the English, the islands gained separate colony status in 1960 and became an independent autonomous nation in 1967. The small coastal outcropping in the Atlantic has a population of only about 28 thousand, but there is an enormous amount of wealth held by corporations and trusts in this offshore, tax-free jurisdiction. 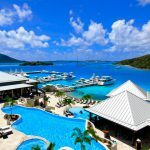 Company formation is big business in BVI, in fact, more than 50% of the Government’s annual revenue is derived from license fees for offshore companies. There are currently over 500,000 IBC’s registered in BVI. BVI does 2 things: tourism, and offshore companies / trusts. 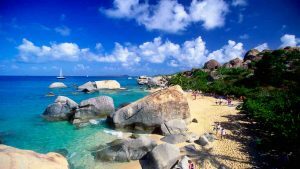 The British Virgin Islands offer distinct advantages over other jurisdictions. The most popular entity is known as a BVI BC (business company). Most BC’s are used as asset protection vehicles, very often in combination with a trust. The Business Companies Act states that all business companies formed in BVI must establish and maintain a Register of Directors, whereby the initial director is appointed within 30 days of incorporation. Further statutory requirements are minimal and flexible. BVI Business Companies are exempt from local taxes and stamp duty, even if they are administered in BVI. Only registration and annual license/franchise fees will apply. Step 1) Application form is submitted with the Company preferred name. Limited, Corporation, Incorporated, an equivalent, or an abbreviation thereof. Additionally, details of the beneficial directors and shareholders must be included such as nationality, country of residence, address, and profession. Other details, such as a professional recommendation or reference is also required. Scanned and notarized copy of the passport. notarized. This is to ensure the passport conforms to a true likeness that the passport is legitimate. required. Most commonly this is provided in the form of a utility bill or bank statement which includes a name and address. This document must be current within 3 months. an accountant or similar profession. A Beneficial Owners Declaration (BOD) should be completed and signed by all shareholders and directors. Step 3: Invoice created. Upon receipt of funds, the incorporation process shall commence. that have been drafted are required to be sent to the Registrar in order to qualify as a BVI IBC. No additional documents are required for incorporation. The documents will not state the identity of the directors or shareholders, therefore, maintaining privacy. Step 4: Company formed, company formation documents couriered to a worldwide location of your choice. After the company is duly registered, the corporate documents will be mailed to a destination specified on the order form. You can now open a bank account in a bank of your choosing around the globe, or we can introduce you to one in our network. 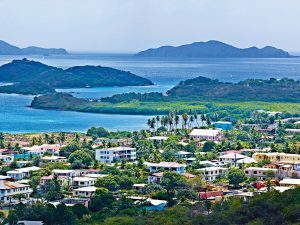 BVI Offshore companies and trusts are still highly relevant, although there may not be the new offerings of LLC’s and asset protection trusts afforded by other more modern jurisdictions such as Nevis – the jurisdiction is far from antiquated. In fact, the age of the BVI as a tax haven seems to be a strength more than a weakness in most respects. Bearer shares used to make an account anonymous – whereby whoever held the blank shares would control the company. Nowadays, this is essentially an exercise in futility as the registered agent on the file will always retain the name of the directors and shareholders on the company file. BVI is still about as private as you can get, and your name can’t be searched – as there is no corporate database. Just don’t believe anyone who tells you their offshore company is a ‘secret’ account. Essentially, those type of accounts is all but closed. Why set up a BVI company if it is hard to bank in country? Because it is essentially the most popular, oldest, and most reputable offshore jurisdiction, meaning that the company documents are accepted at banking institutions worldwide. Particularly in Asia, a British Virgin Islands company is a very popular legal entity. Strolling into specific banks in Singapore, you would have no problem opening the account. You can incorporate your BVI IBC with Flag Theory, acquiring the Complete Incorporation Package. If you want to consider other options to incorporate your company and open a bank account, you can check our free tools: incorporations.io / bankaccounts.io. If you need advice on how to properly structure your corporation, you may check how we can help you.